Is your house ready to handle the summer heat? Cold winters can take a toll on any home, so to make sure you’re ready for sunny, summer days and warm, humid nights, you should take some specific measures to get your home back in shape. At Boerne Air Conditioning Experts, our team can help to walk you through many of these steps to prepare your home for the summer heat. The summer months not only bring high temperatures, but they can also bring some of the highest energy costs of the year with high demands for air conditioning. Keeping your home at a comfortable temperature can be expensive, but in some ways it can also be dangerous. If your air conditioner is constantly running, it can put a lot of stress on your home’s electric systems, increasing the risk of shocks and fires. Our technicians at Boerne Air Conditioning Experts suggest that you update the insulation in your home, which will assist in keeping cool air in and hot air out. It’s also wise to add addition insulation to your attic, and ventilate your attic. Living and working in Boerne, we’ve all experienced the extreme heat that occurs during the months of June, July, and August. 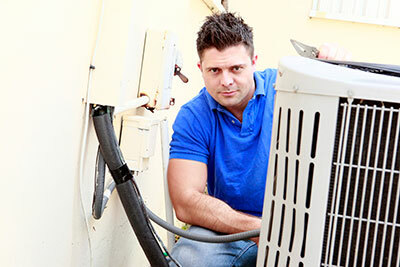 Our staff at Boerne Air Conditioning Experts can help you to get your air conditioning ready for the summer. We would strongly advice washing or vacuuming cleanable filters, or replacing disposable ones. Around the exterior of your home, take the time to clear leaves and other debris that may be around the condensing unit. 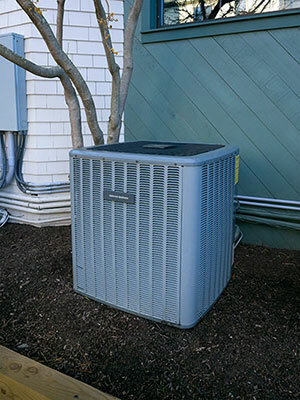 Hose off any dirt or grime that has accumulated on the unit, and then call one of our experts at Boerne Air Conditioning to come back and inspect your unit to ensure everything is working properly. To fight the summer heat, it’s also useful to install a programmable thermostat for your air conditioner. You can leave it on a higher temperature while you’re away from your home, and schedule it to adjust to a lower setting when you return. You might also consider the addition of awnings over windows that our exposed to direct sunlight, and mounting ceiling fans throughout select rooms in your home. To keep the rays of sun and their associated heat out of your home, close your blinds or shades during the hottest parts of the day. Our professionals at Boerne Air Conditioning Experts even suggest planting supplemental shrubbery and trees near your home to provide extra shade. Last but not least, whenever possible you should unplug electronics and household appliances that create heat within your home. We’d even suggest limiting the amount that you use your stovetop or oven throughout the summer, and instead opt for grilling outside. Even drying your laundry outside on a line rather than inside in a dryer can help reduce additional heat as well as limit the energy use in your home—which in the end, helps to cut the cost of electricity bills. ​For even more tips to for preparing your home for the summer heat, feel free to reach out to our team at Boerne Air Conditioning Experts.